Ground Floor – 1176 Sq.Ft. First Floor – 670 Sq.Ft. Specifications:Upper Living,Bed room – 2,Attached Bath room – 2,Balcony,Car Porch:137 Sq.Ft. 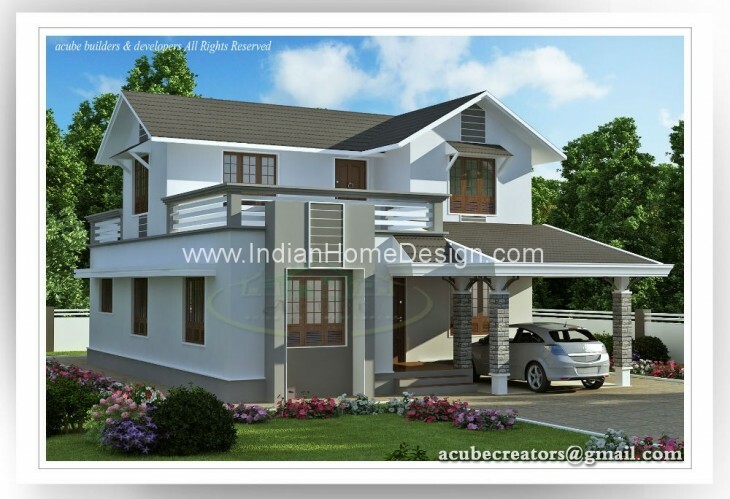 If you like this House design idea theme - "1983 Sqft 4 BHK Kerala and contemporary mixed home model" , do take few seconds to share with your friends and relatives . Let them know what you like.